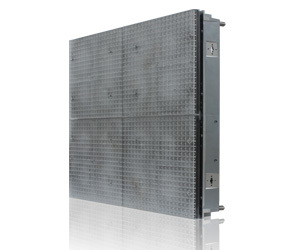 Stage LED Display | led stage background | stage led video wall - Shenzhen Verypixel Optoelectronics Co., Ltd.
Who will pay the stage preparation? How to get their sponsor fund? Now there’s a new way for event planners, coordinators and directors to capture in-kind and cash contributions by using large LED screens and a new marketing technique called “narrowcasting.” Narrowcasting is the ability to reach a focused group of consumers in a controlled environment. This is very different then “broadcasting”.Here is why. At home, when a commercial appears on the TV screen, which is your cue to get up and get something to drink or eat. The exact opposite is true at an event. When a pause in the action occurs at a live event, it is “prime-time” for the sponsor. This is your opportunity to make them shine and give them huge recognition for stepping up and making this event one that people will attend for years to come. VERYPIXEL Stage Solution give your answer. 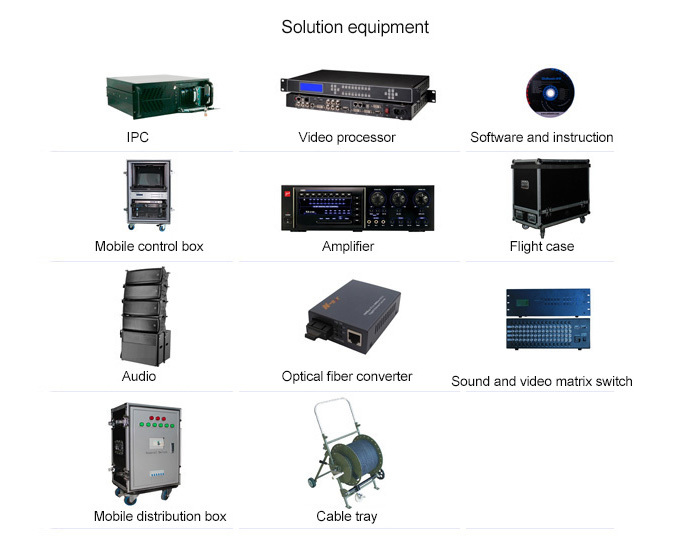 includes LED Stage background, Mesh LED display, Center high definition, Dancing floor, Flex LED Display, LED Ball etc. With high definition, the extremely bright units of the LED Video Screen it offers true RGB possibilities that make the image and video sharp and brilliant enough for stage events, presentations, TV studios, multimedia advertising boards, full color demos, and other LED screens. 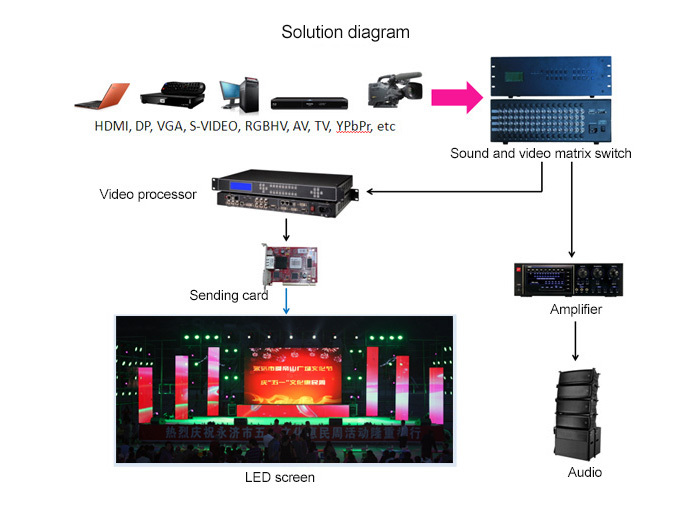 • Our stage LED display is equipped with a professional audio and video system to process multiple signals, which ensures the quality from signal processing and make it possible to play high fidelity images. • The LED screen is controlled by two computers with duel cable features. When one computer fails, the other computer automatically takes over the work, thus ensuring normal operation of the display. ● Stunning design, comprising maximum 16384 full-color pixels. Display video could both synchronously and asynchronously with thousands of millions colors. ● Independent power supply and can dissipate heat efficiently. ● Corrosion resistant aluminum-alloy structure, which enable super high durability. ● The modularized design enables easy and fast installation, seamless juncture and random combination with waterproof IP65. ● Big viewing angle. 140 degree at horizontal line, 140 degree at vertical line, you can see at every angle at this range, no picture twist, no color excursion. 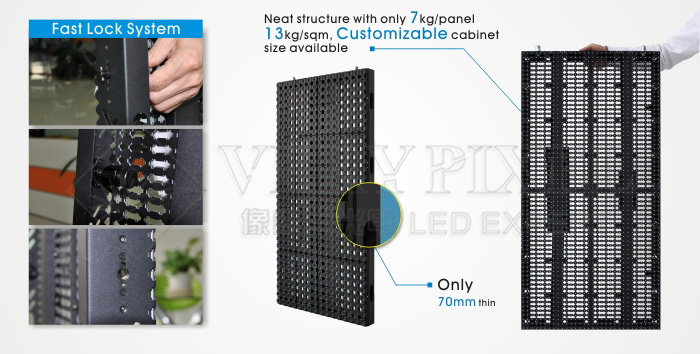 VP-FLEX is ultra thin, super light, flexible LED display screen with high resolution, Verypixel soft LED curtain display screen – VP-FLEX is ultra-light weight, semi-transparent, reliable and foldable LED video display suitable for both indoor and outdoor applications. It’s specially designed for both backdrop applications and creative video shape design. 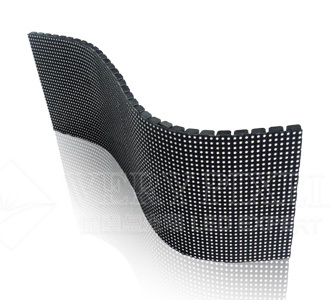 ● Soft LED display screen VP-FLEX is ultra-slim, flexible mesh structure, which enables the perfect combination of installation flexibility and video picture shapes. The flexible VP-FLEX only can be formed into any shape or molded over any object, but also can equally be deployed as a flat LED video screen. 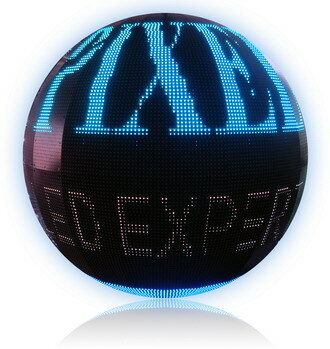 VP-Ball is one of most innovative, unique and amazing products in the whole LED industry. Breaking through the traditional viewing frame, brings special aesthetics and attract audience in first time which bring dynamic, extraordinary visual effect and deeply unforgettable impression. ● Effect: The creative appearance and wonderful showing effect attracts most attention during the usage. ● Structure: Aluminum material structure which lighter weighs and better for heat dissipation. ● Design: Special PCB design which can make sure the showing picture distortionless. ● Maintain: Service front and rear maintenance.